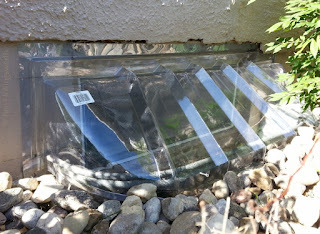 It's the rainy season here in Nebraska, which means it's time to replace all the broken window well covers that the careless kids have stepped on throughout the year. Our house is a little more difficult than most, because the stucco siding on our 120-year-old house has a very random edge right above the basement windows. 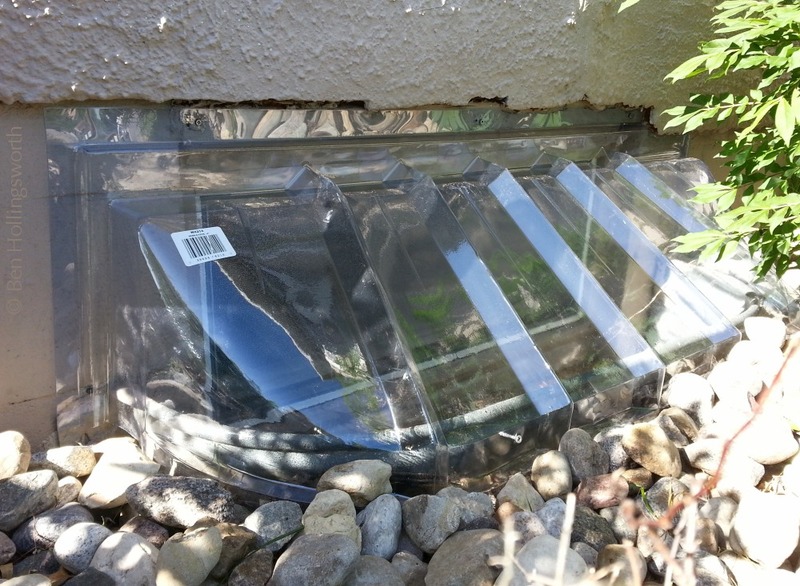 This requires us to trim the edges of the window well covers to a perfect fit before we can screw them into place on the window frame.